"SNOW MIKU" is an event for the wintery version of character Hatsune Miku with the same name “Snow Miku”, and it has been held since 2010 along with "Sapporo Snow Festival” in Hokkaido. As Crypton Future Media, INC., the developer of "Hatsune Miku", is located in Sapporo, Hokkaido, this event has taken place annually, and this year "SNOW MIKU 2014" is to be held. It features the "Snow Statue" displayed in Odori Park, merchandising sales, stage shows inviting guests from various fields and many more, so don't miss this wonderful winter festival if you love “Hatsune Miku” and her wintery version “Snow Miku”! 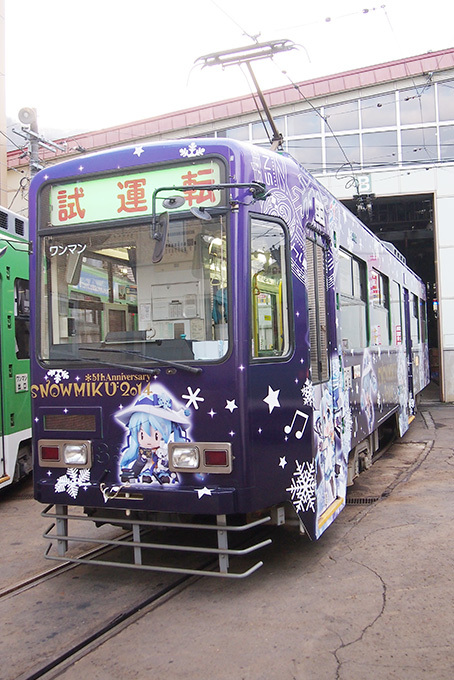 * Some events such as "SNOW MIKU Streetcar" are held outside the specified period. Display of SNOW MIKU snow statue ...etc. * Please note that the above-mentioned events may change without notice. "Yuki-Matsuri Hatsune Kagami" is confirmed! See Mamama type SNOW MIKU dance! * The streetcar runs approximately between 7:00 and 18:00. 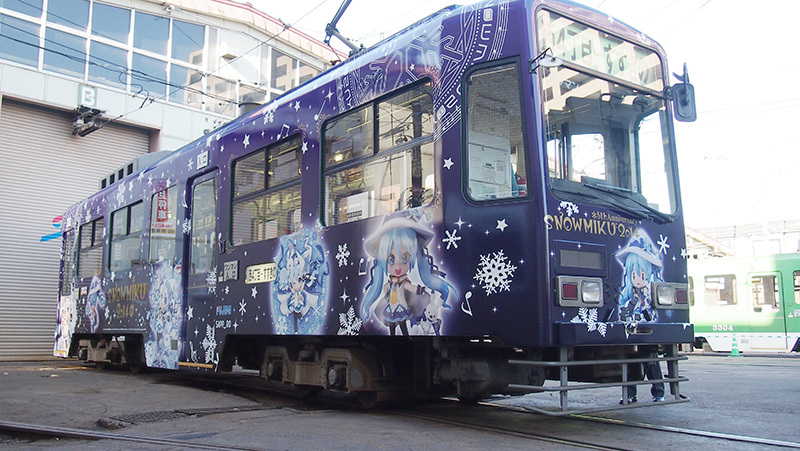 Streetcars wrapped with the "SNOW MIKU" design run in the city of Sapporo throughout the winter! Special posters and train announcement are on the streetcars during the period! 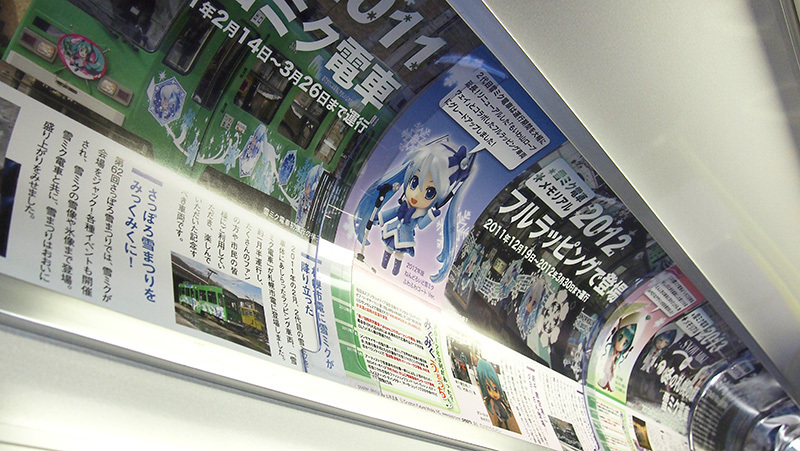 You can hear the announcements narrated by Saki Fujita, the voice actress of Hatsune Miku on the streetcar! 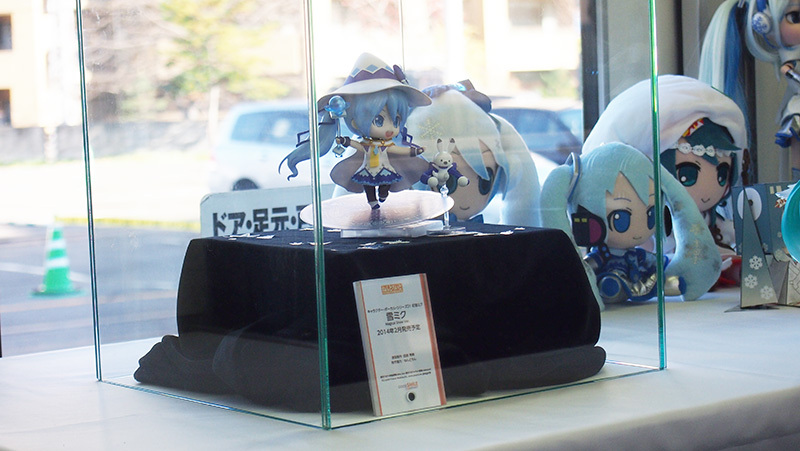 Variety of "SNOW MIKU (Hatsune Miku)" goods such as "Nendoroid Magical Snow ver." is to be sold! 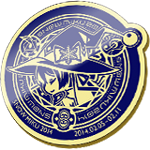 on official SNOW MIKU 2014 goods website! Limited in number. Offer ends as soon as the stock has run out. SNOW MIKU goods are now available at Animate stores! *Please note that some items are unavailable. "SNOW MIKU" is a specially designed "Hatsune Miku" as a character which enlivens Hokkaido in winter using "a pure white snow statue of 'Hatsune Miku'" as its motif. In 2010, SNOW MIKU figurines were first released in celebration of the first SNOW MIKU statue at the Sapporo Snow Festival. 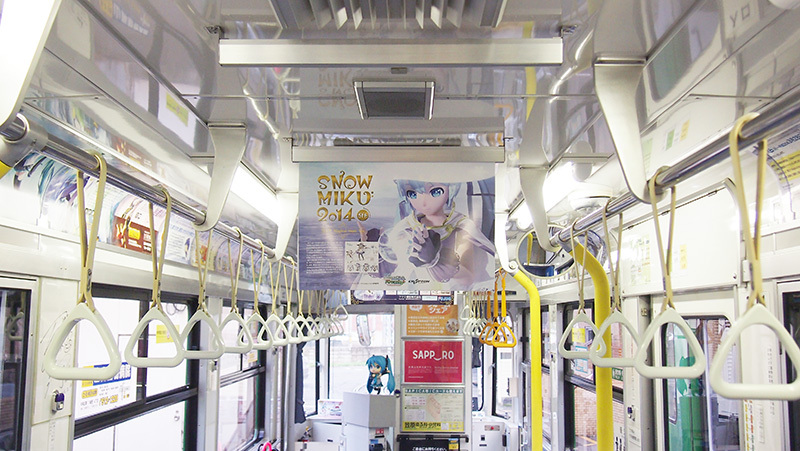 Having achieved wide popularity, an upgraded version of SNOW MIKU with additional parts (such as a scarf and special items) was introduced in the following year, 2011. Since 2012, the costume design for SNOW MIKU has been chosen at a public competition called Piapro Collaboration every year. This year's theme is “Snow Miku as Magical Girl”, and the competition for the costume design was won by dera_fury, and since every magical girl needs a pet, there was also a special design contest for its design which was won by nekosumi. These winner's designs become SNOW MIKU 2014. 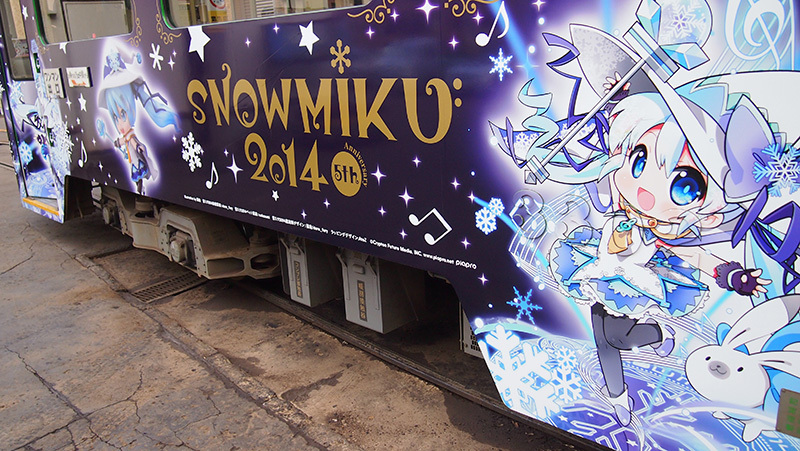 SNOW MIKU celebrates its 5th anniversary in 2014. Imagine what kind of spell SNOW MIKU as a magical girl casts on Hokkaido with snow! TOPTOUR CORPORATION / TOY'S FACTORY INC. / UNITED, Inc. / VOLKS INC.